It was this comment that really put the final nail in Hill’s coffin. Above all else it’s just naïve – of course it was going to incite anger in people to suggest cutting women out of country radio altogether. There are some seriously talented and hard working females in country music who simply won’t lie down and take that. It was a stupid thing to say. And don’t even get me started on the weird salad metaphors. 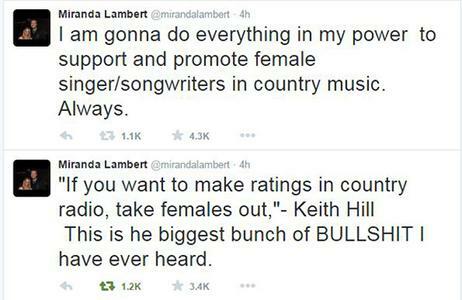 As expected Miranda Lambert did not take the comments lying down. But what does this all say about country music in general? Well, it takes the whole genre back about 10 steps. Unfortunately the stigma with country is that it has always been a format of music that is controlled by rich bigots in stetsons from Nashville offices who love Hank, Johnny and the Good Ol’ Boys. Recently some of the new talent like Kacey Musgraves and Miranda Lambert had begun to shift this opinion. The females were now winning awards for not just performing good music but creating it. Things seemed to be modernising in country as artists like Darius Rucker also helped shift the preconceptions of racism. Things looked to be going well. Then a one of those pesky bigots in a stetson stepped up and threw us back to the dark ages. The problem with bad press like this is that it creates the biggest publicity. The world can now look at Hill’s article and very quickly form an opinion on what country music is all about. The likes of Miranda Lambert and Sara Evans have done their bit now to fight back against this rubbish on Twitter but the damage has been done. In the eyes of the world Country Music, it’s fans, it’s labels, it’s media – well, we’re all sexist. As much as Hill can try to defend his views, and he has every right to do that, it wont change the damage that he has done. I don’t need to make this article about how great the women of country are because that speaks for itself. Listen to Miranda Lambert’s Platinum or Kacey Musgraves’ Same Trailer, Different Park. They are superb collections of music and that isn’t ever going to be in doubt to listeners. The real tragedy is that the number of people who get the opportunity to be exposed to this music is getting smaller and smaller because people like Keith Hill wont make enough money or get enough listeners. Let’s take a moment to look at Keith Hill’s perspective on all of this. After all he must have felt like he had his reasons to write the article and create such a stir. 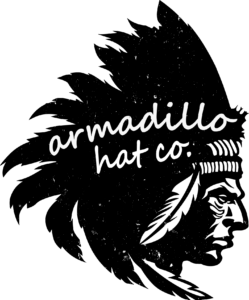 It seems obvious to me – it’s business. For Hill he chases ratings. He doesn’t chase good music, he doesn’t chase equality and he certainly doesn’t chase risks. In his mind the safe option is to stick on a Brad Paisley song and make damn sure it’s followed up by Blake Shelton otherwise people are turning over stations screaming ‘Where’s my Boy’s Round Here?!’. He seems to accept that female country artists make great music but won’t accept that they can potentially get as many listeners as male artists. Maybe he’s right about this, I don’t know the stats, but to come out and make comments like that in an interview caused way more damage that he could have ever imagined. Hill has been staunch in the defence of what he said. He’s tried to justify it repeatedly and perhaps unwisely. The best option might have been to apologise for now and let things cool down before attempting justification. He’s been the subject of some vile abuse online which isn’t acceptable in any walk of life and simply cannot be justified but he needs to start making amends soon or the cost to his career and the reputation of country music could be huge. We tried to discuss Keith giving his own side of things on this site but shortly found our email inbox spammed and him becoming quite aggressive. I think it’s clear that Keith Hill isn’t a bad man. He’s just been a bit idiotic. He simply doesn’t seem to see the ramifications of what he has said because he is blinded by his own ego – after all he is the self-titled ‘World’s Leading Consultant on Music Scheduling’. As for us, well we will continue to support ALL country artists. At the end of the day music is music regardless of the gender, race, sexuality or any other preference of the performer.